With over 18000 square metres of space, the Asb Showgrounds stands as the premier event and exhibit center of New Zealand. 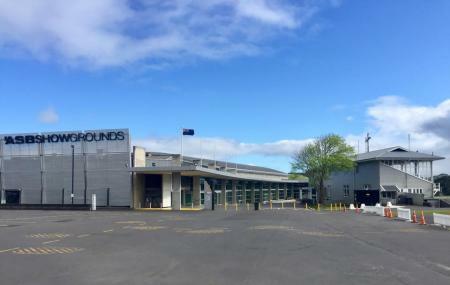 From cultural exhibitions to trade expo, concert shows to cocktail party, private banquets and functions to corporate events, seminars and conferences to meetings and gala dinners –there is hardly any event that the Asb Showgrounds does not cater. The services offered by the venue are light, sound and projector, security, accommodation, public relation services, wireless internet, photography and transport facilities. The venues that can be availed for hire are exhibit hall, banquet hall, classroom with capacity of 400 and theatre room. The event management team will be there for any assistance. Went to see the Easter 2019 festival and it was beautiful. There were plenty of rides for the kids and also for grown ups. I enjoyed the fireworks in the end. To make it more memorable, I along with my friends went to the One Tree Hill which is nearby to watch the fireworks show. We witnessed it from the point where you can see the whole Auckland city. It was mesmerizing. Royal Easter show (Easter weekend), awesome food entertainment, the rides and market stalls were fantastic. We came later in the day to miss the bigger crowd, stayed for the fireworks at 9pm. The lights, the laughter and the smell of all the lively food stalls made for a great night out. Good venue, no complaints. Parking can be hectic here. I was lucky and had few problems parking at Cornwall Park last time. A nice 5 minute walk. Just don’t wait until the park is closing or you’re in for a long wait to get out! Caravan and Motor home show. Well set out and full of interesting exhibits. Great enthusiasm from exhibitors... Hope their enthusiasm can keep up all weekend. 😁 Clean. Plenty of rubbish bins and places to sit. A great visit.